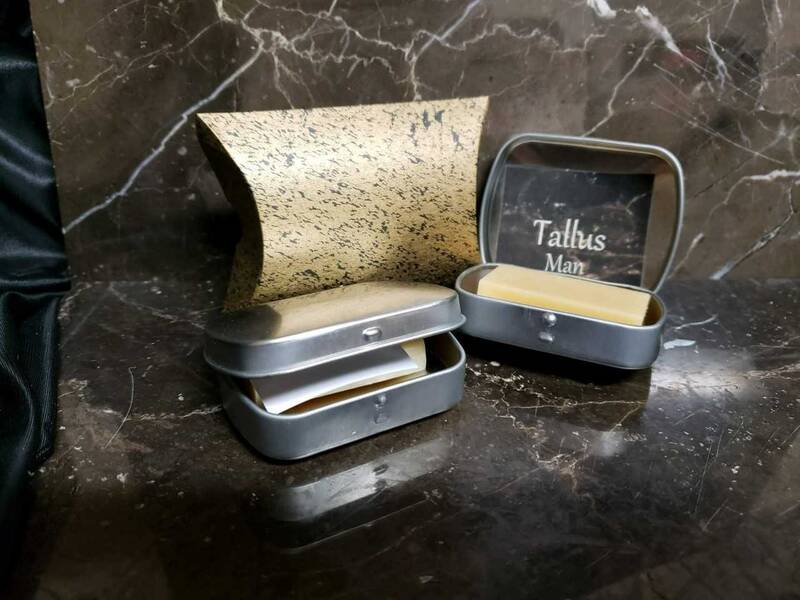 choose between The Norsemen or Black Rose from the drop down menu. 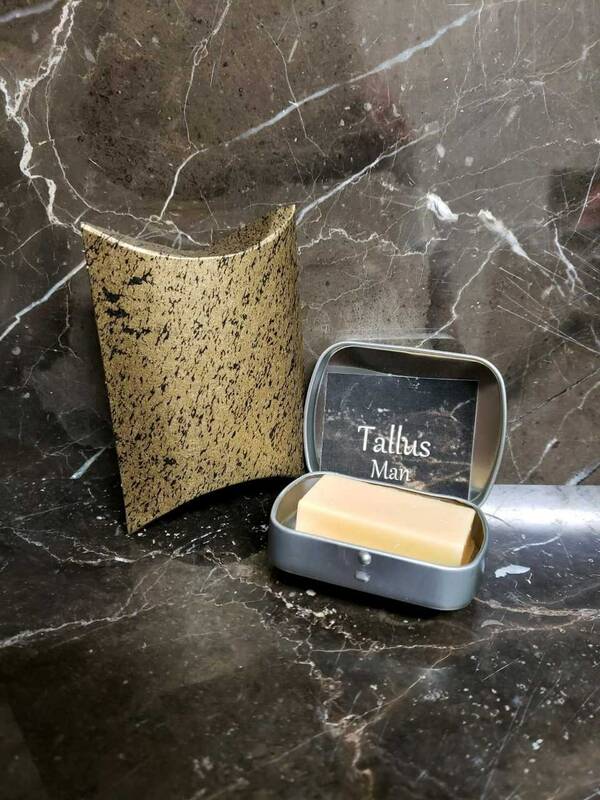 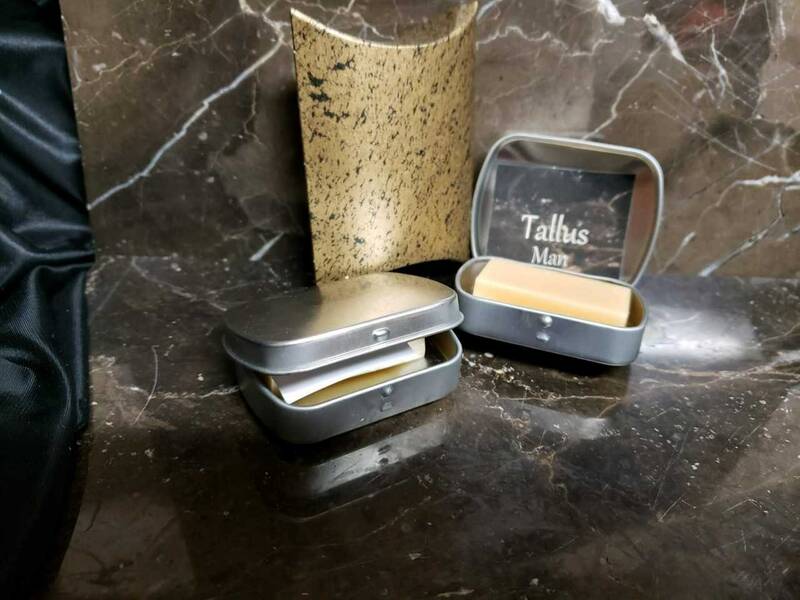 Tallus Beard Conditioner is made with rich oils, butters, and exotic scents. 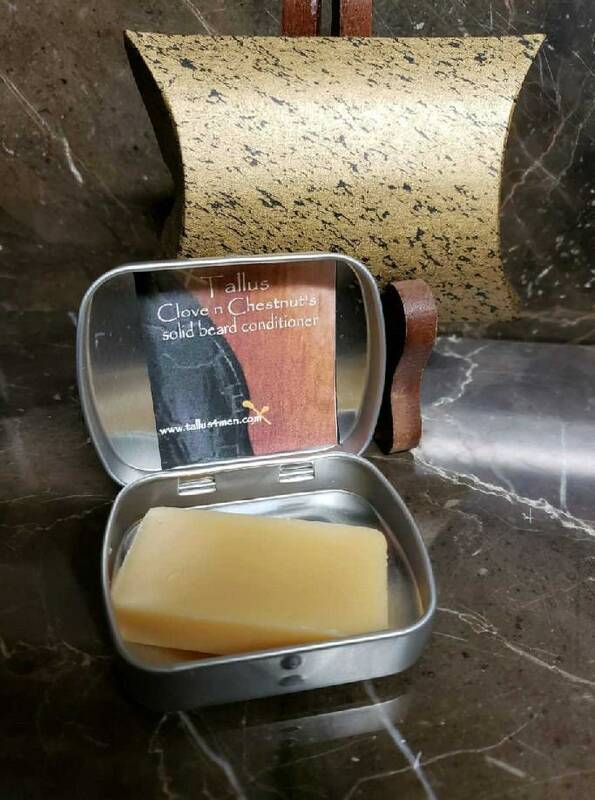 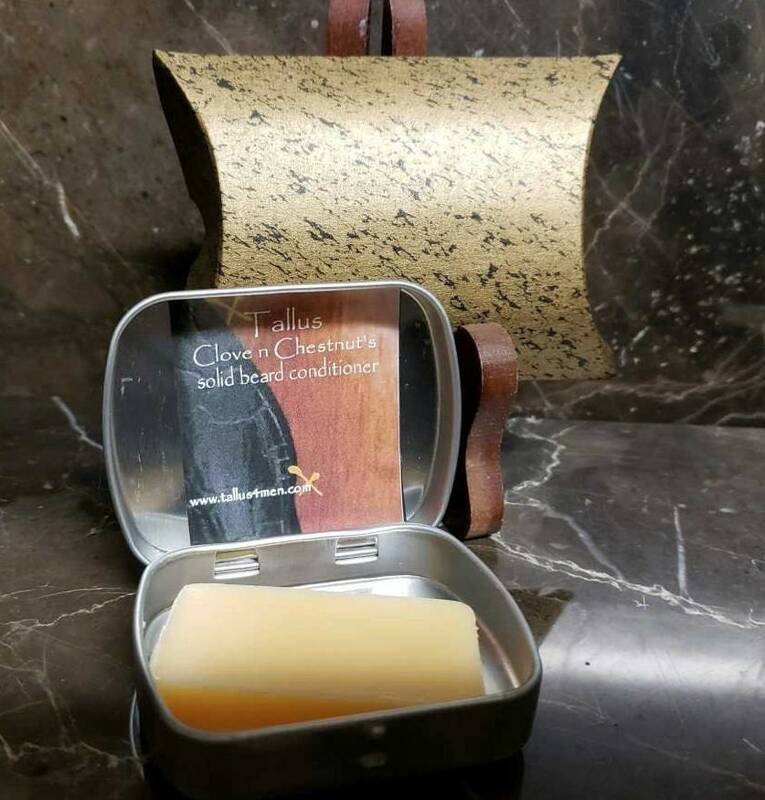 formulated using our own recipes, and poured into rectangular mold, let set and packaged in dome top tin with hinged lid, placed into black m gold pillow box and ready for shipment via USPS first class, this will ship on same or following business day of your completed order.